We had a great time on this tour! Our guide was helpful and fun. I feel like we got a lot packed into one day. 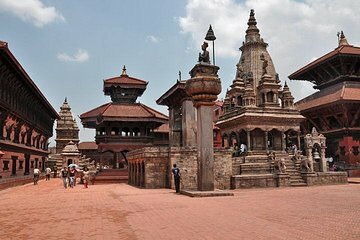 Bhaktapur was gorgeous, though it was sad seeing all of the damage done by the earthquake. The view from the tower at Nagarkot was fantastic! As always with our Viator tours, our guide was knowledgeable an friendly. I'm a photographer and both our driver and our guide went out of their way to help me get great shots. We were particularly impressed by our drivers skill on , narrow, windy mountain roads. It was a great day. As always without Viator Tours, our guide was knowledgeable and friendly. I'm a photographer and he and our driver went out of their way to make sure I got all of the shots I was looking for. It made for a great day. We were particularly impressed by our drivers skill on narrow, windy mountain roads.